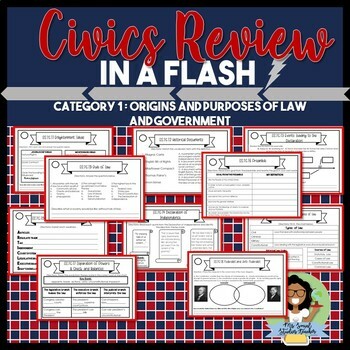 Looking for a quick review for the Civics EOC? Looking to refresh your students knowledge before a test? Then this is the resource you are looking for! 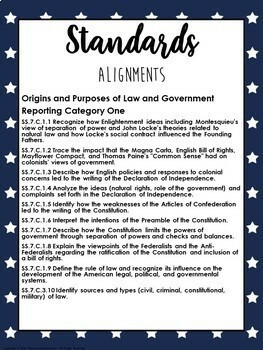 This resource covers all of the standards in category 1 for the civics eoc exam. I use these in my own classroom to differentiate the review based on the students individual needs. You can use these as homework assignments , class assignments or as task cards. ❤ Ready made review for EASY PREP!!! Questions? Having trouble with the download? I appreciate your feedback as it helps me to make my products better! If you have any concerns or any resources is not what your expected please contact me before leaving your feedback, so I can fix the issue for you. Please send me a message through TpT or email me at mssocialstudiesteacher1@gmail.com.